AI and emerging technologies bring humanity powerful new tools, but are we ready to transition to them? We are on the cusp of the next major evolution in computing technologies that will unleash significant changes in our work and our lives. While artificial intelligence (AI) receives outsized media attention, it is maturing in parallel with a suite of other emerging and complementary technologies that we think of as smartware — from the Internet of Things (IoT) to virtual and augmented realities to additive fabrication / 3D printing — dictating how automated systems can and will interact with, assist, and market to us. It’s useful to look at these technologies not only as transformative in and of themselves, but also as continuing a process that began with the very first computers. With each advance, from the personal computer to the Internet to mobile, our technological leverage has increased. And, over the past 40 years, as we’ve adopted and utilized these tools, our society has been in transition from an industrial to an information economy. This evolution will be destabilizing, changing the world on a scale that will ultimately seem similar to our evolution from an agrarian to an industrial economy. People’s lives will be impacted and the world will, over decades, become unrecognizable from today. We can already see the breadcrumbs of this with technologies like driverless cars. Even though their development and adoption have been slowed due to high-profile, fatal accidents involving companies with business models as varied as Uber and Tesla, they remain a conspicuous presence in some communities. And, evoking the Luddites of England in the 1810’s, some people are reacting violently. People in Chandler, Arizona have attacked driverless cars from Waymo, a Google spin-off company, with rocks, knives and even threatened the vehicles with firearms. While there have only been 21 of these attacks over the past two years, the unease over the advance of AI and other related emerging technologies is palpable. The self-driving car may be a technology that is years, or perhaps a decade, away from transforming the typical human driver into the passenger of a self-driven conveyance, but it is already foreshadowing the depth of impact it will have societally. The increased technological leverage that comes with AI and automation offers the ability to both create and destroy industries, jobs, and ways of life. For us to transform and improve our lives in a positive way, then we will need adaptive strategies to prepare for collaboration with smart machines. Our human ecology — the relationship we have to our natural and built environment, and to each other — will be changing. But, if it’s any comfort, we, as a species, have gone through this type of transformation many times. Historically, we and our technology have evolved together. To better understand the anthropological underpinnings of this human relationship with technology and creativity, we spoke with Dr. Carie Little Hersh, an anthropologist and sociologist at Northeastern University. She taught us a number of things. First, did you know that technology actually predates humanity? So, in some sense, it’s not even “ours”. The earliest technologies predate the human race homo sapiens by millions of years: Stone tools date back at least to the species Australopithecus. Regardless, technology is something now unique to us and only accelerates. Dr. Hersh took us back some 10,000 to illustrate how the interplay between technology and human ecology went hand in hand. We’ve seen computing technologies create whole new industries even as robotic automation conspired with emerging markets to destroy others here in the United States. But that is only the beginning. In the years ahead creative workers, people like us and perhaps you, will see parts of our work increasingly automated. A whole new generation of industries and jobs will rise in parallel. This will provide an unpredictable mix of challenges and opportunities. It took almost 200 years for us to realize that the industrial revolution was having a potentially destructive impact on our environment. And, even today, as we are enjoying or even celebrating the bounty offered by our smart world, it is easy to be oblivious to the degradation of quality of life being suffered by people outside our field of vision. You have to wonder if Waymo’s risk management team anticipated their vehicles being physically attacked by people fearful of the future, years before the technology could possibly threaten their livelihood or infringe on their lifestyle. It is a reminder that there will be unintended consequences, that our emerging smartworld will have impacts we can’t anticipate and may not realize at once. It is also a reminder that, as people who share the world with more than seven billion others, being mindful of those outside of our community and vision is also important. What does this mean for our next shift? We started our Creative Next journey with Dr. Hersh because we spend a lot of time living in the proverbial trees: always online, reaping lifestyle benefits of both the power of our technology and the wealth gained by our helping to create it. Seeing the broader forest of humanity and technology, rings in the human tree that spiral back millions of years, we can frame where we are and where we’re going. It is a reminder to be vigilant, but it can also offer nuance and perspective that lets us anticipate what is coming — and how we should adapt with it. From our anthropological past to our smart future, next time we will be talking with Tobi Bosede, a principal engineer in machine learning, about the nuts-and-bolts of artificial intelligence. 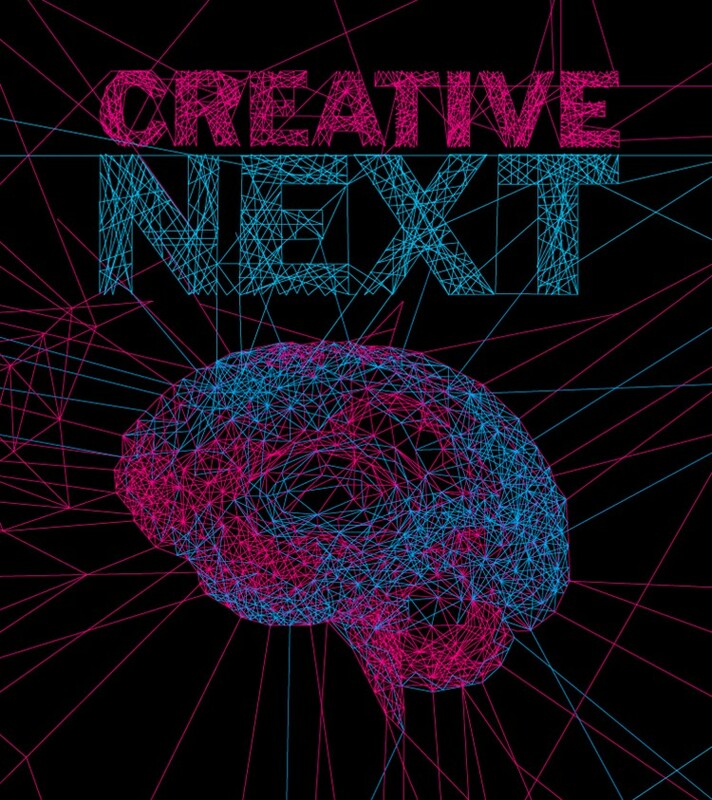 Creative Next is a podcast exploring the impact of AI-driven automation on the lives of creative workers, people like writers, researchers, artists, designers, engineers, and entrepreneurs. This article accompanies Season 1, Episode 1, Technology and the Origins of Creativity.